Load a CignalTV Account Now! Re-loads are specific for each plan. For example, you can only re-load a Plan SD 450 using the Plan SD 450 button above. Due to the nature of electronic transactions, WE CANNOT ACCEPT CANCELLATIONS, RETURNS, REFUNDS OR EXCHANGES once a transaction has been fulfilled. Please take extra care when entering the CignalTV account number you wish to load. We will not be held liable for erroneous or mistaken entry of the CignalTV account number. Cignal TV was launched in 2009 and is currently the country's premier DTH satellite provider. It transmits 102 channels including free-to-air, SD and HD channels to household and commercial venues nationwide. It also offers a mix of 12 audio channels and on-demand service through pay-per-view channels. Cignal is owned by Cignal TV, a subsidiary of MediaQuest Holdings, the media partner of PLDT Group. 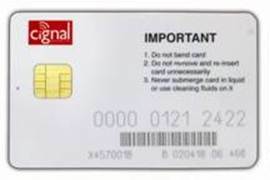 Please make sure that this is your Cignal Account Number, and not your Smart Card #. Don't know or unsure of your Cignal TV Account Number? Enter your Smart Card # below. 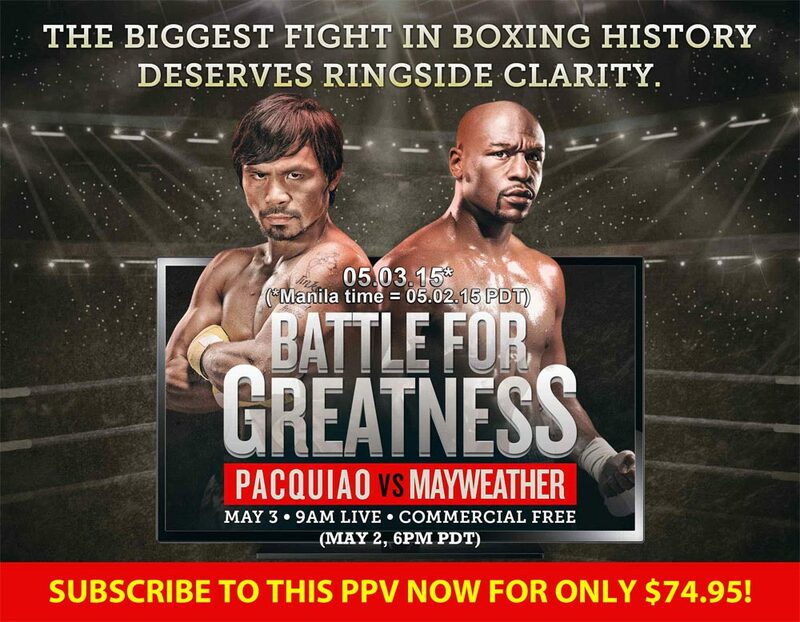 Load This PPV To Your Account Now! On pressing the submit button you will be redirected to PayPal for charging. The Philippines' premier DTH satellite provider! Cignal is a subscription-based satellite television service provider launched by MediaScape Inc. in 2009. A subscription package comes with a satellite dish antenna, a remote control, and the set top box. For convenient loading of your Cignal TV subscription, Cignal offers a prepaid loading system powered by SmartPinoyLoad.com. With 70 channels at present, Cignal broadcasts to residential and commercial areas around the Philippines. Re-loads are specific for each plan. For example, you can only re-load a Plan SD 450 using the Plan SD 450 button above. Please make sure to select the correct re-load package for your Cignal TV prepaid plan. Gently pull-out the smart card from the Cignal Box. If the number of digits in the Smart card is 6 omit the last digit and use the remaining 5 digits. If the number of digits in the Smart card is 7 omit the last digit and use the remaining 6 digits. Purchase a Cignal Satellite TV Subscription Kit for your loved one in the Philippines, available in Plan SD 430 and Plan HD 490. Once the application form is sent, Cignal TV installers in the Philippines will contact your loved one to schedule a site visit to assess whether the location has satellite access needed for the Cignal TV to work. Depending on the results of the site visit, the location will be deemed feasible or not. If feasible, the Cignal TV crew will install the set-top box with the satellite dish antenna, RCA cable, RG6 cable and remote control. Upon successful installation, the subscriber will be charged an activation fee worth one month of subscription. Installation may require an additional fee (minimum of P1000) depending on the location and materials needed (e.g. additional cable, line amplifiers, splitter). If installation is not possible in the area, you will be informed and refunded any payments made less any non-refundable fees. Purchase a subscription for your loved one. Cignal TV installers will contact them shortly! * Installation Fee is non-refundable. ** The Total amount above will be charged to your credit card. In the event that installation is not successful, the amount, less the Installation Fee, will be refunded to you. I affirm that I have duly informed the Subscriber in the Philippines whose details appear above, and have secured his/her consent to submit the above information. I affirm that the above information is true and correct to the best of my knowledge. I further affirm that the Subscriber in the Philippines has read, understands and agrees to the Terms and Conditions of this Residential Direct-to-Home Subscriber Service Agreement ("Agreement"). I understand that the Subscriber in the Philippines may have to submit supporting documents to complete this application. I understand that the data/information supplied in this Residental Service Application Form shall be treated as confidential and shall not be used for purposes other than that described under the Agreement. Receive products and promo e-mail updates! Use of this site is subject to terms and conditions. This site is operated and maintained by OksPinoy, Inc., authorized reseller of Smart Communications, Inc., and a licensed facilities provider of the United States FCC. Copyright 2007 - 2019 OK OK North America, Inc.
Due to the nature of electronic load ("e-load"), PINS and Smart Money load, we cannot accept cancellations, returns or exchanges. Please take extra care when entering the mobile prepaid number or 16-digit SMART Money account number, to make sure that it is valid, active, and indeed the number you wish to top up. We will not be held liable for erroneous or mistaken entry of the prepaid number or SMART Money account number.